What Hours Do Driving Instructors Work? One of the primary benefits of becoming a driving instructor is that in many cases you will be able to choose your own hours, which means you can fit your career around other work commitments, training courses, holidays, or child care. 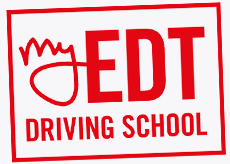 Driving tuition is a very flexible and versatile career that’s a very attractive option for many competent drivers, but how much will you really need to work in order to be able to reasonably support yourself financially through driving instruction alone? When you completed your driving instructor training requirements, you may have imagined setting your own 9-5 hours, and enjoying evenings and weekends relaxing at home. While many driving instructors do enjoy this sort of lifestyle, it’s important to remember that restricting your available hours could have a significant impact on your driving instructor salary as it could limit the number of clients you’re reasonably able to take on. If you’re hoping to earn an average driving instructor salary or above, it’s essential to consider the types of people that may require driving tuition, and the sorts of hours that they will be requiring on-the-road training. The Central Statistics Office shows that the highest number of learner permits in Ireland are applied for by the 17-20 age range - the number of 17-20 year olds in Ireland holding learner permits is roughly 53,000. For driving instructors, this indicates that the majority of their clients may be in full time or part time education, requiring tuition outside of normal working hours, including early mornings, after school, and weekends. The second highest demographic holding learner permits in Ireland is the 30-39 age range. These people may have full time jobs or childcare duties during the daytime. Those of retirement age who may have the greatest availability are the least likely to hold learner permits - only around 5000 Irish residents aged 60 and over have a valid learner permit. What Hours Should I Work? If you’re planning to operate your own driving school, you can choose to work as many - or as few - hours as you wish. Many driving instructors work between 20 and 25 hours per week. If you take a driving instructor job at an established driving school, you may need to commit to a certain number of hours per week as part of your contract. When deciding how many hours to work, keep in mind that the working day for a driving instructor is typically a little different than those working a 9-5 office job. Your ‘breaks’ will be spent travelling between clients, planning lessons, and sourcing new clients, so be sure to leave enough time to take a breather and grab some lunch during your day! 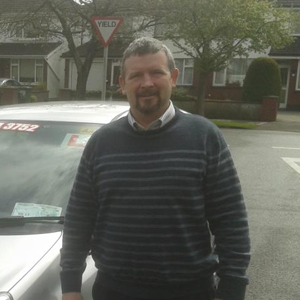 "NUI Driving Instructor Training were great help with my check test"
"NUI helped build my confidence and grow my business"
Why is ‘Driving Instructor’ Such a Valuable Career?